The Perfection SS Pro 5000 built exclusively for The Winner's Circle. The Perfection SS Pro 5000 has the popular grip texture calfskin on the jockey and flaps. 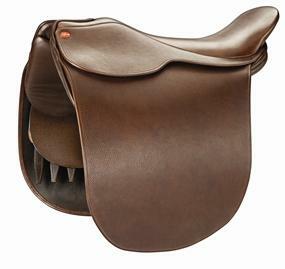 Compare to the other Grip saddles and SAVE$$$. When you think of quality in the Saddlery world, nothing compares to the attention to detail of the English Saddlemakers.